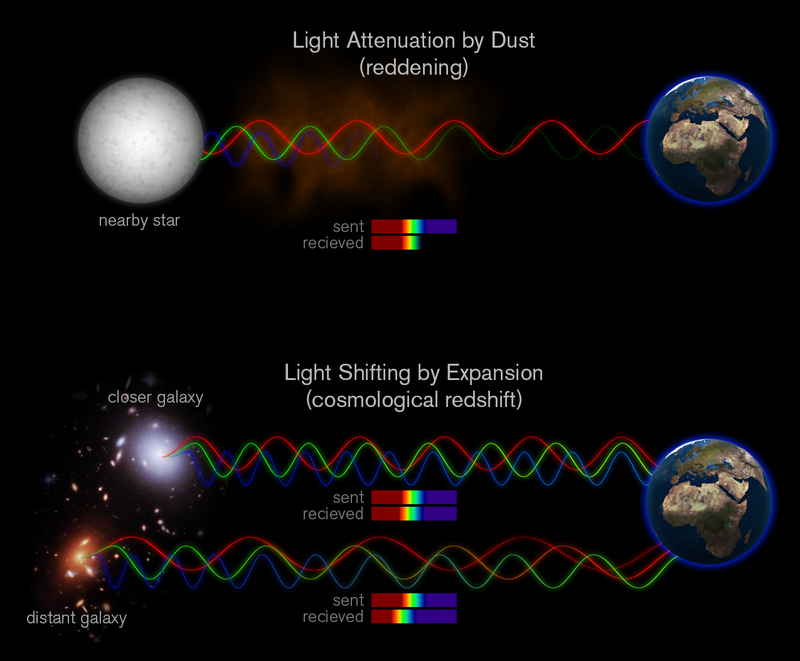 A few years ago I started blogging about astronomy and astrophysics. My goal was two-fold. First, to communicate as clearly as possible some of the amazing things we know about the universe. In the past few decades we’ve gained a deep understanding of astrophysics, and I wanted to bring that to the general population. Second, to counter the hype and misconceptions constantly in the news. With the rise of ad-driven websites, most popular science sites focus on outrageous headlines and copy-pasta press releases. Over time my effort has focused on writing an original post everyday, which I’ve been doing for more than two years. By the end of this week I’ll have written 800 posts. Despite that, there are many days where it feels like I’m tilting at windmills. Robitaille makes several wild claims about astrophysics. He claims that the cosmic microwave background isn’t due to the thermal remnant of the big bang, but rather due to microwaves reflected off the surface of Earth’s oceans. He claims the Sun isn’t powered by nuclear fusion in its core, but is instead a layer of liquid metallic hydrogen at 7 million degrees. His work hasn’t been published in refereed astrophysics journals, but has appeared in vixra (created to counter the elitist arxiv) and Progress in Physics, which is an alternative science journal. How do you begin to counter such ideas? Well, we could start with the fact that the blackbody law has been confirmed experimentally in numerous ways, or that the cosmic microwave background matches a thermal blackbody to extreme precision, or that stellar temperatures derived from the blackbody law match temperatures found by atomic line spectra. We could point out that the CMB has been observed by satellites millions of miles away from Earth, and aimed away from Earth’s surface, or that reflected microwaves wouldn’t give a blackbody curve due to absorption bands in both water and Earth’s atmosphere. You could point out that his liquid-metal Sun model relies upon thermal blackbodies to be impossible, that his argument in favor of a liquid photosphere is that it looks liquid, and that his main argument against gravity-driven solar fusion is that the model uses mathematics. Many of you reading this might figure that Robitaille is so wildly wrong that I shouldn’t even bother trying to counter his claims. I should just respond with “Eppur si muove!” and get on with real science. But then for most of you I’m preaching to the choir. I’m tilting at windmills, because the great debate isn’t occurring on blogs or in the refereed journals. An appealing video can be very convincing. Robitaille has been espousing his ideas for more than a decade, but I started getting requests to consider his clearly wonderful work when a talk of his was posted on YouTube. Fans of the electric universe, for example, flood my inbox with links and demands based upon YouTube videos. The biggest proponent of the electric universe is the Thunderbolts Project, which has over 200 videos, with millions of views. The videos are clear, and argue in simple terms that they are right, and thousands of trained scientists are wrong. And they’re winning hearts and minds. Making videos is not something that’s been at the top of my list. It’s much easier to simply write blog posts and link to refereed sources. But if anyone wants to help make some videos, I’m ready to get busy. I’ll do what I can to make things more appealing and accessible, because the scientific gains we’ve made are too precious to be drowned in the noise of slick pseudoscience. And I’m tired of tilting at windmills. You are the only trusted source on science at this moment. Do not go all depressive now. I go through cycles feeling like no one gives a crap about anything I do (and why should they?) and then justifying it to myself because learning is personally fulfilling. Anyway, I don’t think it’s *just* about having a YouTube presence, but I’m sure it helps (no chance of going viral without video vs tiny chance with). Oftentimes the people who create these graphics (ie. the corkscrew animation) do it with no way of knowing ahead of time that it will go viral. You could easily spend a solid week putting together a five minute video and receive only a couple hundred views. Some people spend 15 minutes putting together a silly joke and then it goes viral for no apparent reason. And then trying deliberately to get something to go viral seems like entering a rat race. You may win one day but you’ll still be a rat in the end. I’m still not sure why the corkscrew went. Apparently the visualization of our system moving through space blew some minds despite its technical inaccuracy. I’ve been playing around with Blender thinking one day I could make a more accurate depiction similar to that screenshot I took out of Universe Sandbox but there is a lot left for me to learn both in astronomy as well as the application itself. Hi Brian….I enjoy your posts. You explain some difficult concepts well. Often explanation is better then many others on some complex topics. I learn a lot more from your posts then from some other astro sites. I also enjoy your time on the weekly space hangouts. Keep up the good work. I’d be up for making videos, if you have some specific ideas of directions to go in. I was just taking a break from finally getting around to making episode 6 of my YouTube series You Can Solve the Schrödinger Equation. (Episode 1 is here: https://www.youtube.com/watch?v=Q8XgqV9ReX8) My attempted approach has been to make it clear that the math knowledge that you need in order to understand the real physics is quite often *much* simpler than it’s made out to be. It doesn’t need to be over-simplified into outright falsehood in order to make it understandable. Papers and lectures almost always describe the physics with a ton of aggrandizing or redundant jargon and are, by design, devoid of relevant background information. General-audience articles tend to assume that the readers are idiots that don’t really want to know more and couldn’t really understand anyway. This chasm between the two makes it impossible for people to go from raw information to understanding, so I’m hoping to help bridge that gap. I’ve also tossed around the idea of writing draft scripts for a Crash Course (https://www.youtube.com/user/crashcourse) series that would be on quantum physics, with an emphasis on what we actually now know about quantum physics, instead of emphasizing the oft-misleading, historical route that was taken to get to that knowledge, as many courses seem to, but I only have knowledge in a few limited areas of quantum physics. I’d be thrilled if someone with a broader knowledge base could fill in the gaping holes in my knowledge, to make something like that happen. They don’t have any current plans to do a series on quantum physics, but receiving already-written scripts could be a pretty big incentive. Does it imply that popular science is pseudoscience, and thought process is random without foundation ? Is this a positive trend to grab attention of lot more people, mostly sci-fi enthusiasts, to put on their thinking caps? Videos do make listening easier, but the content!, who vouch for it sure needs some convincing credibility. Why the mass follow emotions rather than facts needs some psychological research. Thank you for all your efforts. I look forward to your posts each day.Your clear and logical explanations of very complicated subjects. Black holes and life elsewhere in the universe to name but two. Also,time and space. Most of us can not easily understand these concepts. But, you explain it in such a way that even I can explain it to someone else at times. Just wanted to say thanks. Don’t give up real science always wins. There are several good video series out there, including the ones you mention. My intention wasn’t to make light of their good work, but rather noting that videos is where much of the science communication seems to happen. Hay Neil Dickson, I think your videos are great fun and well produced!!! Thanks! I really need to stop procrastinating on the next episode, though. It’s been 16 months since the last episode now, and I haven’t had much luck making the quantum physics computer game I set out to make in the interim. My video is in need of a up date and better produced version. Anybody that can watch all 5:20 min. of it should get a prize. Is it too late for New Years resolutions? Hi. I just watched Robitaille’s CMB video on youtube. I think you have misconstrued his arguments in a way that is not correct. First of all, his expertise is in the field of medical imaging. Producing MRI images and producing CMB images follow the same fundamental process of measuring a signal and producing an image. In each case there is always noise on top of the signal. If there is too much noise it drowns out the signal. His argument is that there is too much noise from the ocean for earth based measurements to be able to extract a signal and that there is too much noise from our galaxy for measurements from satellites to be able to get a clean signal from the rest of the universe. So your counter-argument that the CMB has been measured from space is not really relevant. Robitaille himself addresses this in detail and talks about the design of specific satellites that measure the CMB. I find it odd that none of your supporters here have questioned that. It seems like they haven’t looked into this themselves. The fact of the matter is, we don’t know what happened in the first trillionth of a trillionth of a second after the big bang, based on a bunch of microwave static. Sorry, if you want to talk about bad science, that’s about as bad as it gets. Actually, there are tremendous differences between MRI and CMB imaging. With MRI the signals are stimulated by magnetic fields, while with CMB the emissions are passive. That Robitaille fails to recognize this is a huge problem. We can actually distinguish pretty well the difference between actual CMB data and “noise” (what we call foreground effects). One of the ways we do this is by looking at the CMB from a range of wavelengths. Not only do we see clear evidence of the cosmic background in agreement with big bang models, but we can quantify certain features of cosmic evolution that are in agreement with other observations. In short, Robitaille doesn’t know what he’s talking about. See, again you are acting like Robitaille doesn’t know what he’s talking about, when in reality he goes into detail about how the foreground noise is removed from WMAP data (it’s at about 33:30 in his video). He explains how they use various fudge-factor variables (K, Ka, Q, V, W) and how they assign different coefficients for these to different areas in the sky. Not only are these fudge factors very different for different regions, they also change from year to year. In particular he claims using negative fudge factor for K violates the 3rd law of thermodynamics, because you can’t create negative temperatures. Furthermore, there can be as many as 15,000 “point sources” in the sky that introduce noise, which must be removed as well. In the end, they are just taking a bunch of noise, applying a bunch of fudge factors to get whatever image they want. You certainly can’t take that end result as some support for knowing what occurred in the first trillionth of a trillionth of a second of the big bang. Robitaille doesn’t know what he’s talking about. His video makes claims about the data that simply aren’t true. In my previous comment I linked to posts that cite actual research papers, and you’ve ignored them. Basically what you are doing here is arguing is that the actual research (that you haven’t read) doesn’t matter, because you’ve watched a YouTube video. Robitaille making a claim on a video doesn’t count as evidence. First, calling Professor a ‘radiologist’ is far from accurate. He is currently Professor of Radiology at Ohio State University with a joint appointment in Inorganic Chemistry. He holds a PhD from Iowa State University with a double major in zoology and inorganic chemistry, having successfully defended two contemporaneous theses. He is an expert in MRI, image acquisition, and spectroscopy. Despite the assertions of the theoreticians to its impossibility, Professor Robitaille conceived, designed, and supervised the construction of the world’s first Ultra High Field MRI scanner, at Ohio State. This scanner had a magnetic field strength of 8T, which almost doubled the world record at the time. The current world record for MRI field strength is 9T, derived from Professor Robitaille’s work. Professor Robitaille’s 8T still holds the world record for MRI imaging integrity. It was whilst developing the 8T that Professor Robitaille realised that Kirchhoff’s Law of Thermal Emission cannot be true, since MRI is a thermal process which violates the currently accepted theory. Indeed, by applying the currently accepted theory of thermal emission to MRI of the human head, the temperature of the latter was obtained, and it came out at 1K. But no human head is at 1K. Since the 8T worked this result was not a machine malfunction. The problem is with theory, just as with the theoreticians’ claim that it was impossible for an 8T MRI scanner to be constructed and produce images of a human being. It is patently false that Professor Robitaille argues that the monopole signal assigned to a CMB by the cosmologists is due to reflection of microwaves from the oceans. Please cite and quote here for all your readers to see, the sections of Professor Robitaille’s papers and videos by which you claim that he argues that reflection of microwaves from the oceans is the source of the CMB. Professor Koberlein, your derisive talk about a journal in which a paper is published is not a scientific argument against a scientific argument. It does not matter where a paper is published. What matters is its content. And by the way, Professor Robitaille’s papers did in fact undergo peer review (that is the policy of the editors of Progress in Physics). Papers need not be published in journals which you prefer. Your journal preference has no bearing on scientific arguments and experimental facts. One of the most frustrating aspects of dealing with fringe science ideas is the constant bombardment of accusations and false claims. How insulting that I referred to Robitaille as a radiologist given that’s his area of expertise, rather than addressing him as Herr Professor and listing his work in radiology. I suppose it must be equally insulting to all the Nobel Laureates and professors of astronomy, physics, and astrophysics who support the standard model that I referred to them as mere “astronomers” and “astrophysicists” without listing their prominent achievements. How dishonest of me to call Progress in Physics an alternative physics journal, when on its very website it presents itself as an alternative to the narrow and biased approach of traditional research journals. How dare I actually call people out based upon the ridiculous claims they’ve actually made. Stephen Crothers does make a valid point. The above article uses the phrase “reflected off”, which is inaccurate. To be precise, Robitaille has claimed that the CMB is “produced by” the Earth’s oceans. But it doesn’t really matter. Even when phrased correctly, Robitaille is still wrong. Censorship of relevant information is a sign of bias. Bias denotes prejudice and serves agendas, but not an objective discussion of a topic. This is true of discussion pertaining to any topic, and it is especially significant here in a discussion of what should be objective science. In this regard, Stephen J. Crothers’ reply to you was briefly posted then removed from your comments section. I find his reply and its subsequent censorship relevant — not only in its science and logic, but also in regards to a study of bias in scientific discussions of the physical nature of the universe. This is the age of the Internet where these discussions can occur uncensored and unfiltered by politically biased organizations and referees. The readers of the Internet become the referees. Here is a screen shot of the Crothers’ reply that was subsequently censored. You make a claim that is flatly refuted by Crothers’, so I wonder if we might focus on this point to come to some benchmark of integrity in this back and forth. The emphasis upon ‘reflection’ in the above quote is mine. Why would you not allow this challenge for citations to validate your claims to be seen by your readers? For the benefit of your readers and the principle of civil scientific debate please provide the citations to back your claim as requested by Crothers? If you are going to call me out, don’t just link to Crothers’ moderated comment, link to his page entitled The Ignoble Professor Koberlein, where he calls me (among other things) a lair with a “vendetta against free thought.” You might as well, since he’s already emailed it out to colleagues I’ve published with. I’m often accused of “censorship” when comments are moderated. I have been very clear that comments are moderated, largely based upon three things: linkspam, trolling, and rude/personal attacks. Beyond that, I have two basic rules: I don’t block comments just for presenting an opposing view, and I don’t edit comments. All comments are either allowed as is, or not allowed. Crothers’ first comment was a bit of a judgement call. Link-spammy, but the links were fairly relevant, makes personal attacks against me and my intentions (which I tend to me more lenient on), and calls me out demanding I prove him wrong (i.e. trolling). I allowed it largely for the purpose of being a rebuttal to my claims. My response was a bit sarcastic, but made clear that both Crothers and Robitaille claim a terrestrial origin to the CMB. Crothers could have simply noted that their claim is an emitted microwave rather than a reflected one, simply noting that my statement on reflection vs emission was in error, and my response would have been to acknowledge that and re-emphasize that reflected or emitted, it is the terrestrial origin that is soundly contradicted by the evidence. I didn’t allow the second comment for several reasons: it was more of the same in terms of links, it continued with more ad hominem, it added additional claims that are in error (such as the claim that “signal of the ‘CMB’ has not been observed by any satellites beyond ~900km of Earth” when in fact the WMAP and Planck satellites collected data at L2 which is 1.5 million km from Earth). In short, Crothers had the opportunity to discuss facts and evidence, but chose to make it a personal attack. He therefore lost the opportunity to discuss the matter on my blog. He’s free to continue the discussion elsewhere, and clearly has. One more thing. Both you and Crothers have accused me of censorship for not allowing unmoderated comments on my website. Neither your site nor that of Crothers allows for comments, moderated or otherwise. I’m quite amused to see the arrows Mr. Crothers’ now aims at your direction. For some time I was one of his targets, when he was sprouting nonsense about black holes and big bang theory. Then he started to report about this Robitaille person. Robitaille had criticised CMB observations, and since Crothers wanted to argue away the CMB for his own purposes, he became an admirer of Robitaille. For my amusement, I looked at this youtube video where Robitaille lectures about Kirchhoff’s law. It is not difficult to spot the point where his argument goes astray. He doesn’t understand the most basic laws of thermodynamics, and that, if you have a cavity with the same temperature T everywhere, then the radiation intensity inside the cavity will be in equilibrium with that, or, the radiation curve will show the unique black-body distribution corresponding to that temperature, regardless of the material the walls of the cavity are made of. That’s how you derive Kirchhoff’s law, but of course you know that. Robitaille and Crothers don’t. Amazingly, they manage to get followers, but don’t worry, fringe scientists never succeed in making a dent in real science. It’s “spouting” though “sprouting” seems oddly apt in this case. I am curious, I haven’t seen any explanation by Robitaille et al. 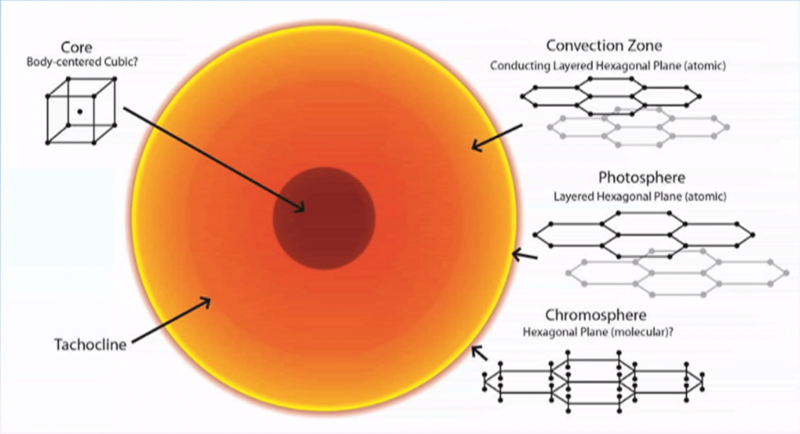 about why the CMB is Doppler shifted, i.e. why the velocity of the Earth and the Solar System affects the CMB. Surely, this would not be the case if the CMB was produced by the oceans. I find it disturbing how many people seem to buy in to these ideas / narratives, although I guess it is a natural extension of beliefs in UFOs and ghosts mixed with some anti-government perhaps. Maybe just a prime example of the Dunning-Krüger effect? Robitaille’s main rebuttal seems to be that the blackbody radiation law is wrong. We have tons of evidence to say that it’s right, but Robitaille and his fans disagree. Let’s start examining Prof. Robitaile credentials, his academic formation, his past reputation and his field of expertise. Clearly the man has to be respected. Next ask why someone with a history of success will risk everything, job, money, career and reputation. Is he delusional? Suppose that he is not mentally ill. What drives such a notable man? Be honest and gave him credit. Do you agree that he deserves? If you do so, will find that, at least, the man is brilliant. Read his paper without prejudice following the arguments. Check the references. Is these right? Next examine the matter. Do you found any mathematical or logical error? Pay attention. It’s not a matter of faith. We are seeking the truth. Are you prepared to contradict his arguments? Are you prepared to debate with him at academic level? To support your arguments with experimental results? I don’t think you are. Few people are ready to the task. Hence, do not destroy a man life. Do not insult my intelligence. This man is not a crank. What is the matter about COBE? Do you really know? I will answer. Prof. Robitaile is pointing a clear case of Experimental Falsification! If you apply “the right algorithm” to the images, you will draw Monalisa! Even so you will take “God Picture”! Let’s be very clear here. At no point have I claimed or implied that Robitaile is delusional, mentally ill, or crazy. What I’ve said is that his ideas on astrophysics are wrong. They are not supported by the evidence, and I have referenced that evidence. Lots of brilliant people have been wrong, even in their own field. In exchange I’ve been called a liar, delusional, deceitful, and closed minded by Robitaile supporters. In direct emails they’ve called me retarded, fat, and evil, as well as having several allegations made regarding the size of my privates and my sexual performance. And you have the audacity to claim that this post is an attempt to destroy a man’s life? If Robitaile thinks he’s right, he is free to submit his work for peer review. He hasn’t done that. Unless and until he does that, there is no debate to be had on an academic level. If he’s not a crank, how come he hasn’t cashed in on his radical discovery re thermodynamics, the one which permits the extraction of unlimited free energy? If you don’t understand what I’m referring to, then you have not read his works (or, perhaps, do not understand them). Robitaile’s ideas can be understood, and discussed, by people with good university degrees in physics. And they have been discussed in fora like JREF; if you’re interested, why not join in such discussions?